My Ranch, Too. 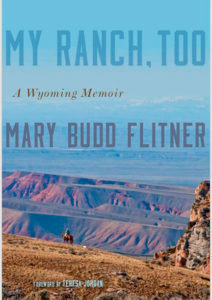 A Wyoming Memoir, Mary Budd Flitner, University of Oklahoma Press, $24.95, Cloth. 2 maps, 23 Photos, 232 pages. There are not many books that I read twice, but My Ranch, Too is one of them. 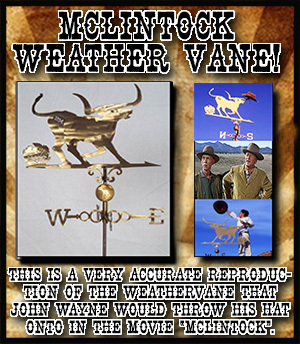 If you have ever lived on a ranch, or handled horses, dogs, cattle or sheep, or even thought about it, you will smile at the author’s astute observations, and wonderful way of describing it all. Mary Budd Flitner’s great grandfather Daniel Budd, settled in Wyoming Territory in 1878. He inherited a herd of cattle from his brother who died unexpectedly at a young age. Budd moved his family from Kansas to Wyoming, and thus began the story. Today, great granddaughter Mary Budd Flitner owns and operates a large cattle ranch in Wyoming, known as the Diamond Tail Ranch. 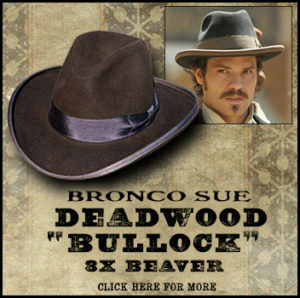 Her husband Stan is also a descendant of a Wyoming ranch family. The land, weather cattle, horses and sheep are part of their heritage. Mary’s wonderful stories are written chapter by chapter filled with original detail. 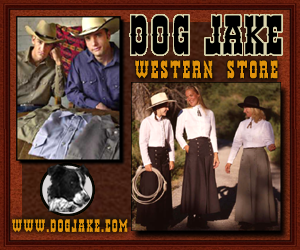 Every experience imaginable having to do with Wyoming ranch life is described with clear and careful thought. Readers will enjoy her subtle sense of humor in chapters like the horse race, and the disappearance of her children’s bum lambs. Things usually turn out for the best with happy endings, although Mary is fair and tough when circumstances require a firm hand. Her dealings with horses, cowboys, hired and amateur helpers, terrible cold winters and seasons of drought are part of her life. Raising four kids through thick and thin, high interest rates and livestock losses are dealt with head-on. Mary Flitner’s great love for her land, her family and way of life comes through on every page. This is a family story about hard-working people who have managed to survive under harsh conditions, with plans to leave the land to the next generation. Mary admits there are times when she’s anxious to drive to town for a few hours of “girl talk” with her lady friends. She has found a balance between life in blue jeans, driving pickup trucks, changing tires, delivering calves, mending fences, herding cattle, or getting bucked off a frisky colt. Thus she enjoys a brief respite with female friends who themselves understand ranch life. Her stories are true, carefully written, easy to understand, sometimes filled with sentimental humor showing her ability to laugh at herself. She writes tenderly about the friends she has had over the years, those who worked hard and shared their personal tragedies. She has kept a journal in which she checks back over the good times as well as bad, including scary happenings like the time her husband was pinned under a fallen horse a long way from home. (No cell phones). Her kids were taught to ride and rope almost as soon as they could walk, and they grew up happy and strong amid their horses, cattle drives, dogs, and lambs. This is a story of a woman’s place on a working ranch, where she handles being a wife, mother, bookkeeper, cook, adviser, and business partner besides fixing farm machinery, and using branding irons. Readers will feel the cold, the dust, the wind and snow through Mary’s admirable talent for describing details. Readers sense her true grit as she drives a truckload of cattle down an icy canyon road, or stoically prepares wash tubs filled with food for hungry roundup crews. There is no whining here, no blaming others. Mary Flitner’s story gives readers much to think about. She’s a tough, honest, kindly person you’d be proud to ride with. Editor’s Note: Reviewer Phyllis Morreale-de la Garza is the author of numerous books about the Old West, including the non-fiction Death For Dinner, The Benders of (Old) Kansas, published by Silk Label Books, P.O. Box 399, Unionville, New York 10988. www.silklabelbooks. com. 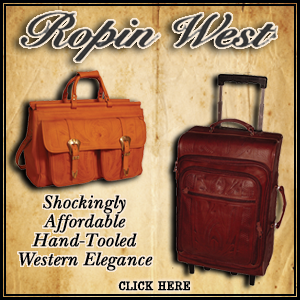 *Courtesy of Chronicle of the Old West newspaper, for more click HERE. 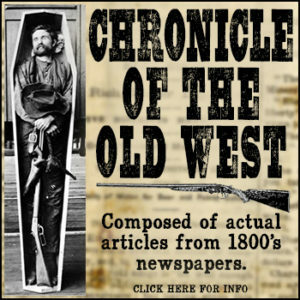 Publisher of Chronicle of the Old West, a monthly newspaper comprised of articles from 1800’s newspapers. Host of two nationally syndicated radio shows with over 5 million listeners per week. One of the shows is aired on American Forces Radio. 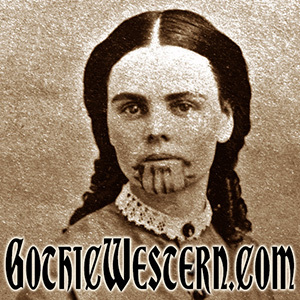 Host of Chronicle of the Old West TV, broadcasting stories about the Wild West. 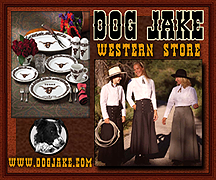 Author and voice of three award winning CD’s about the Old West. 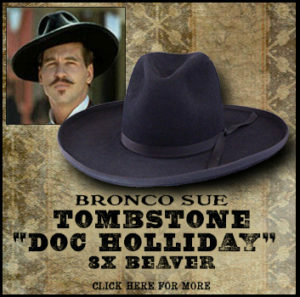 Syndicated weekly newspaper column about the Old West. 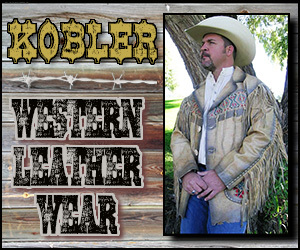 National Day of the Cowboy, Cowboy Keeper Award winner. or advertising fees being earned for purchases made by visitors that click through any of the advertisements and/or links included on this website.